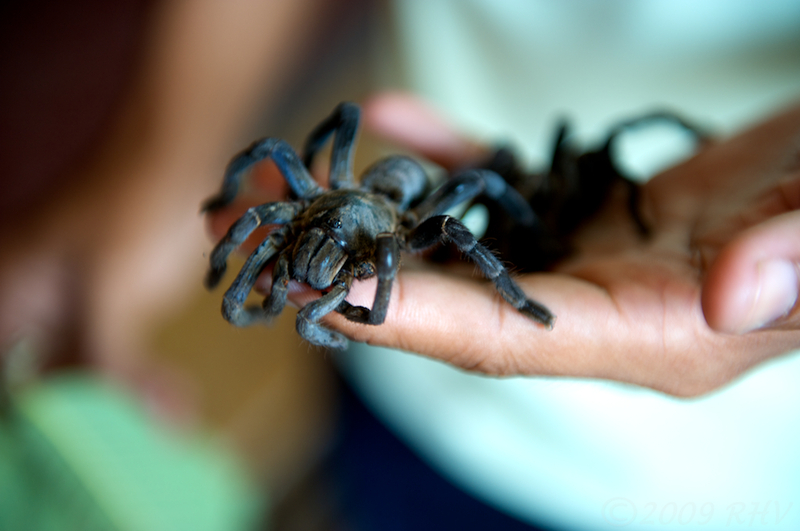 Roaming Cambodia – Eating tarantulas in Skoun. 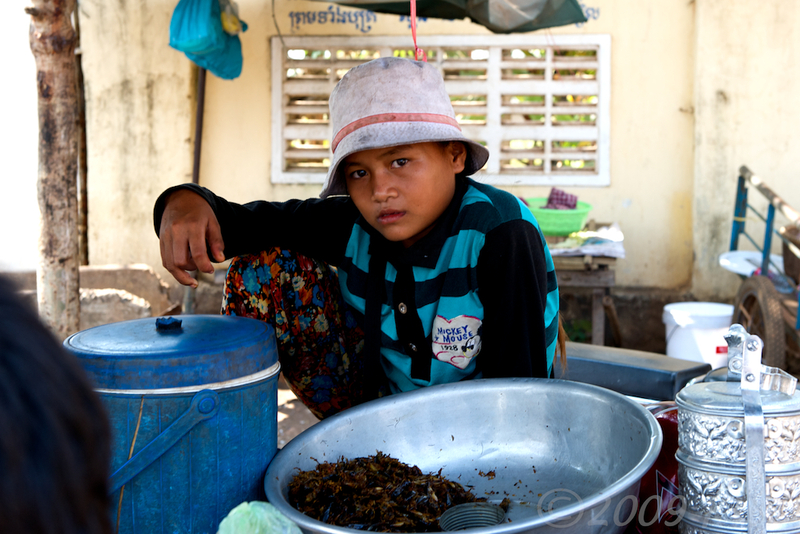 Skoun (or Skun), Cambodia is at the crossroads between Siem Reap, Phnom Penh and Kratie (Irawaddy dolphins). 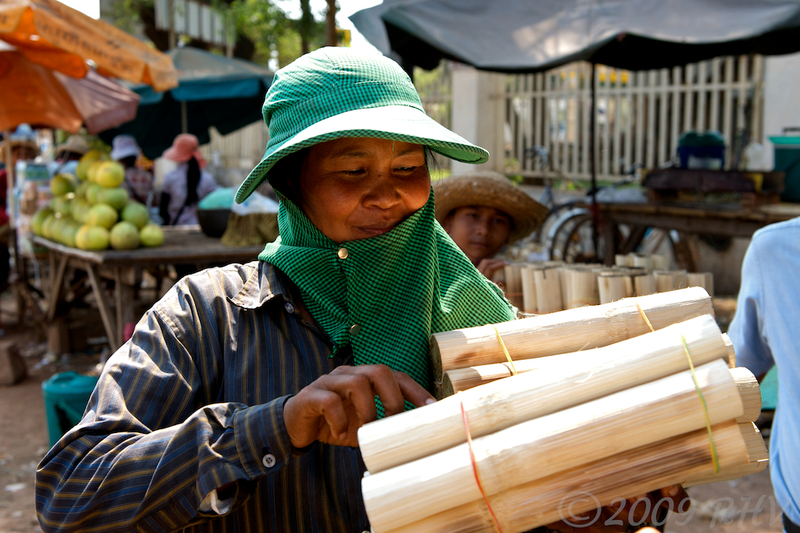 As a result, it’s a busy transportation hub for Cambodia. 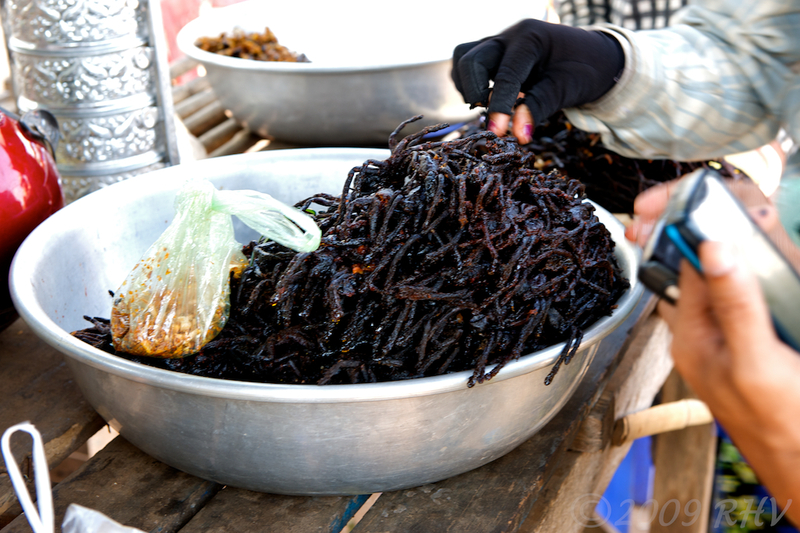 It is known as “Spiderville” by some as the town is known for its delicious selection of deep fried tarantulas, as well as crickets and grasshoppers. Before you roll you eyes at the thought, let me tell you that the spiders don’t taste half bad. Although they don’t taste “just like chicken”, they do resemble softshell crab in texture although the taste is a bit stronger. You can buy a bag of these spiders and munch them as you would any snacks. There is a bit of bitterness before you swallow the spider but otherwise not bad. Really. 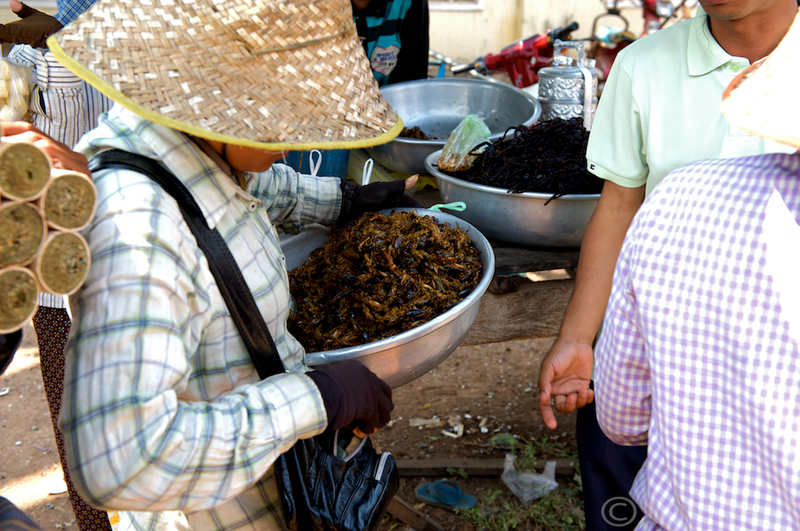 If the thought of spiders turn you off, try the crickets or grasshoppers, both of which are tasty with no aftertaste. Bon appetit! Photos taken with a Nikon D700 and Nikkor 24-70mm f/2.8 zoom lens and Nikon D300s and 70-300mm f/4.5-5.6 zoom lens.